Pictures: When Rani Mukerji bonded with Rachel Griffiths! Rani Mukerji was at Indian Film Festival of Melbourne where she won best actress for her role in Hichki. 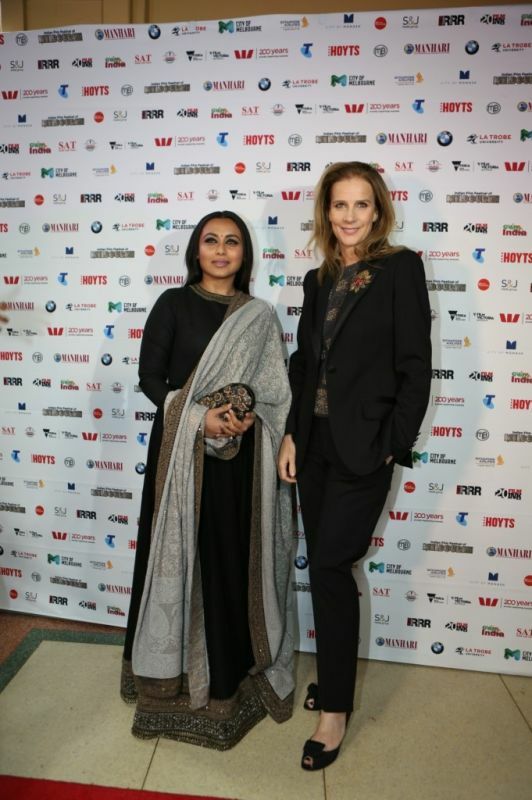 Rani Mukerji with Rachel Griffiths. Rani Mukerji was recently in the land down under for the Indian Film Festival of Melbourne where she won best actress for her role in Hichki. The actress spoke about inclusion and how Hichki talks about a topic that has never been discussed in Bollywood. Her speech on inclusion had an impact on a lot of people present there but it also impacted the Australian actor and director, Rachel Griffiths. We would love to watch these two in a film together! ■Not only Russia, Rani Mukerji’s Hichki finds release in Kazakhstan too!